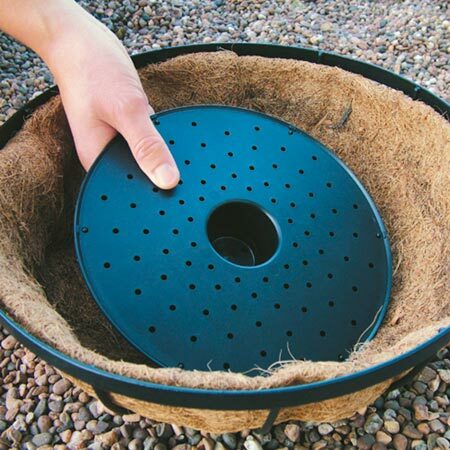 Bury these sturdy, re-useable Flower Wells in your hanging baskets and containers to create a hidden 1 litre reservoir that will not only reduce the need for watering but also make your plants more healthy and abundant! Perfect for anyone who occasionally forgets to water their baskets! For containers 30cm (12") diameter and above. Available as pack of 2 or pack of 4.